This is an older piece of writing – with some edits to keep it current. It shows what is available out there and how it can be expected to perform so, with that out of the way, read on……..
Clearly, as anyone who has read my stuff will attest to, I have a weakness for precision bolt-action rifles especially those combine precision with a tactical look. Unfortunately, as many other shooters have found out, one of the best ways to determine what you like and don’t like is to own a number of rifles – an expensive way to learn a lesson. Hopefully this review will be interesting and may even save some readers a bit of cash. 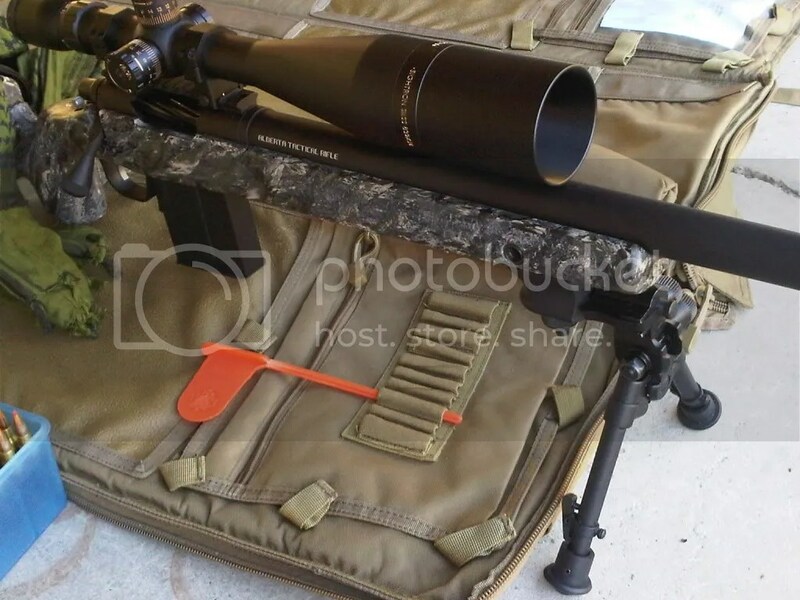 A custom rifle can cost anywhere from the price of a higher-end Remington to an Accuracy International and beyond and, generally, people planning on doing a build like this (in Canada) should plan on spending between $4-5K depending on who does the work for you. 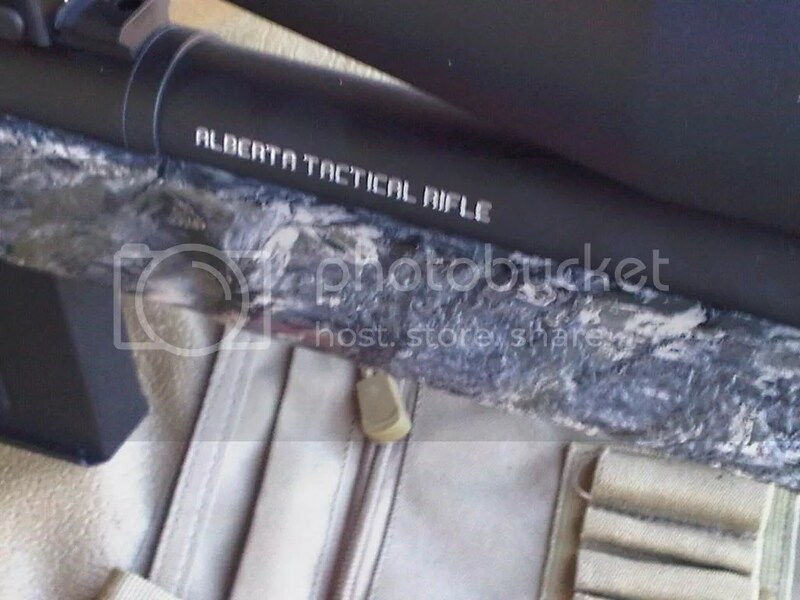 When I commissioned this build I had a figure in mind that I was prepared to spend, I discussed the build with Rick at Alberta Tactical Rifle Supply and I’m happy to say that I was pleasantly surprised to find that I had spent a few hundred less than I was planning to. No, I did not shop around to source parts and send off to ATRS – I placed my order, gave a deposit and paid the bill when it due. I will be the first to admit that I am very picky when reviewing things and with a rifle that costs some serious money I won’t overlook things that I’d let pass with a Remington SPS or Savage10FP. 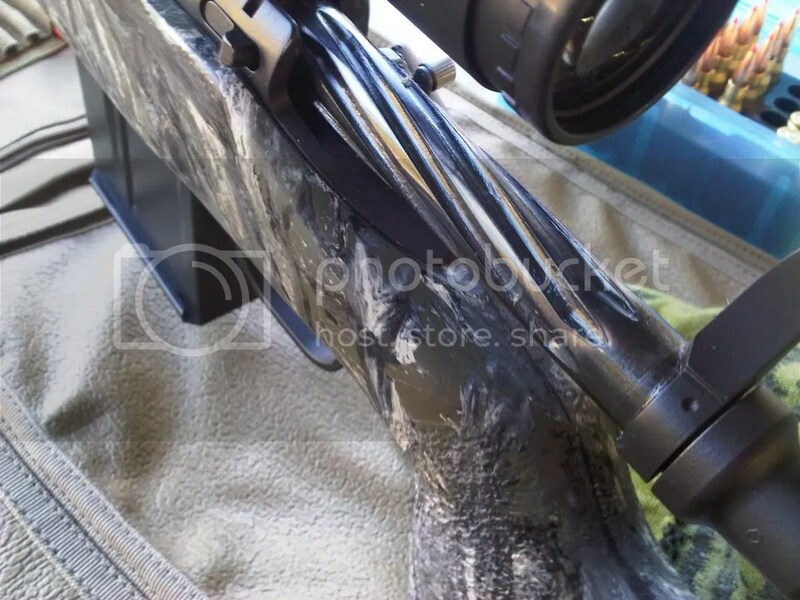 I literally went over this rifle with a magnifying glass looking for fault, blemish or defect. Other than some cerakote over-spray on the ATRS 20 MOA rail and a small spot of silver colour (paint?) on the trigger guard I could find nothing to take issue with. This is what adds to cost as, for sure, a custom action cost more than a Remington/Savage. Is it necessary to buy a custom action? Well, only you can decide. I have a number of rifles built on Remington’s and they are excellent both in operation and the accuracy department. When this rifle arrived I found the Stiller to be super-smooth – like the proverbial vault door. I wanted a 1:10 twist as I planned to shoot the heavier bullets and the Rock Creek was available so it fit the bill quite perfectly. 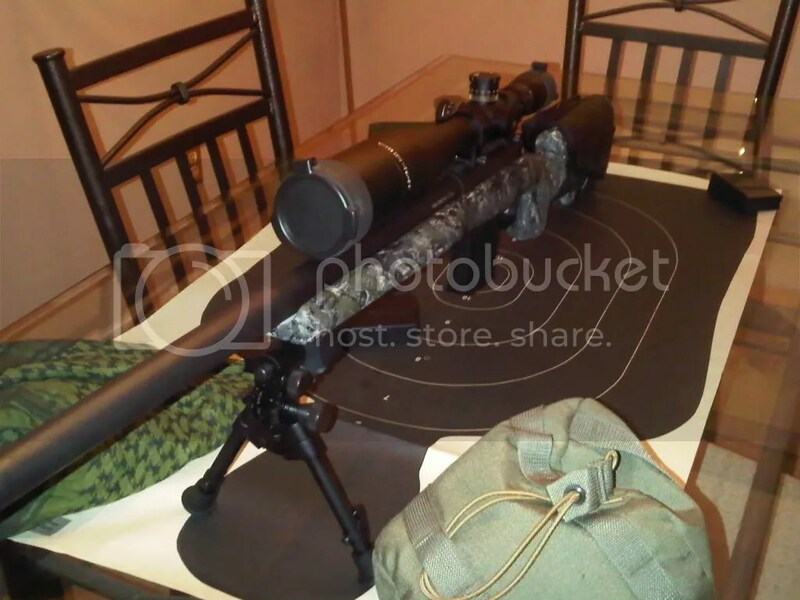 At 24″ it is shorter and more maneuverable than a Sako TRG but still of sufficient length to handle serious LR tasks. A final, and very nice touch, is the engraving of caliber and the company that put the rig together for me. I chose Jewel for this rifle as it was going to be a range-princess. For more robust field use I would likely make another selection but for target work at the range Jewel is hard to better. In my view AI make the best aftermarket mags out there and I like the made in-house ATRS bottom metal. Certainly, the mags fit easily into the well and the feeding was smooth and without flaw. A rifle can look as pretty as all hell but if it don’t shoot it is as much use as “an ashtray on a motorbike”. 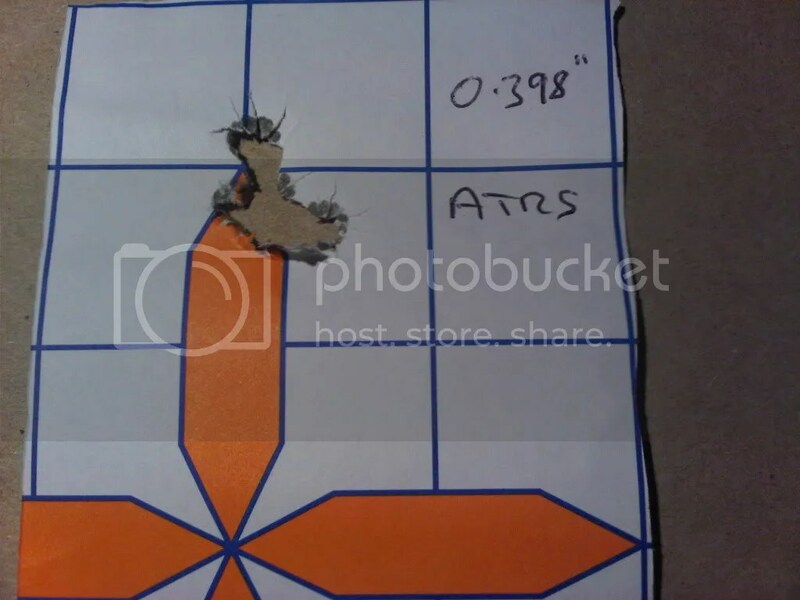 On this rifle’s first day out I didn’t have a load specifically made up so I put together some loads using 190g SMK’s and I grabbed a box of AE 150g, a box Winchester Law Enforcement Match ammo (168g), some 168g A-Max loads ( 43.5 Varget ) and some of the TRG’s favorite diet – 175g SMK’s over 44.6 Varget and headed out. A very serviceable Sightron SIII 8-32×56 sat astride the rifle for the testing – I like the Sightron line up and consider them the value buy amongst moid range scopes. After a couple of rounds of the cheap AE to get on paper, I shot at 100m, and 200m Shooting from the prone off bipod and with little wind I was happy with the results. I fired 40 odd rounds without cleaning and without a particular break in ( “just shoot it” is the barrel break in according to Rock Creek ). 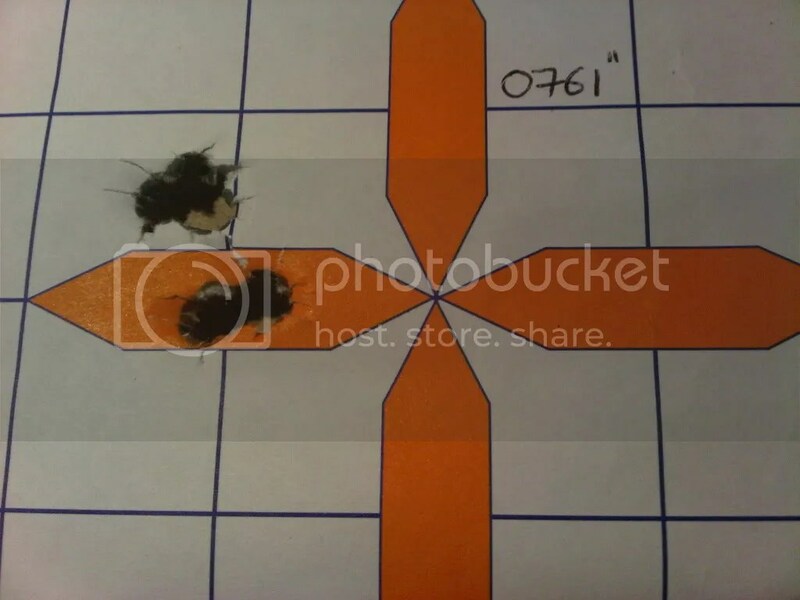 I found the rifle shot both 168g loads well ( under half-minute ) at 100m and I used the 175g loads at 200m where the results were also sub half-minute. 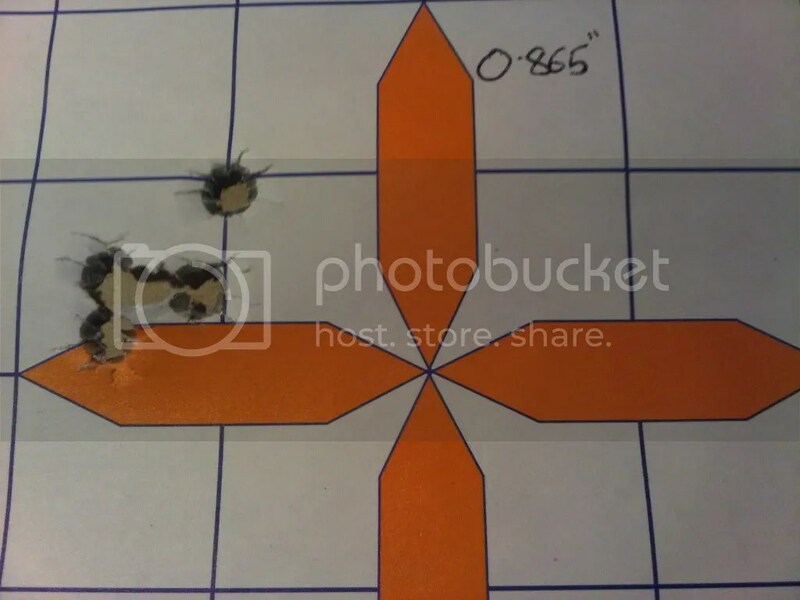 The 190’s were just either side of 1 MOA at 200m which was a little disappointing – I feel the Sierra Accuracy Load needs a bit more ooomph so will experiment further with that. I also took a few shots offhand to see if this relatively heavy (16lbs or so ) rifle could be operated well-enough by me in this position – hitting a 200m gong was easily doable. As expected with a heavy rifle, recoil was nothing to worry about either offhand or from the prone. At 200m – note the user error ! 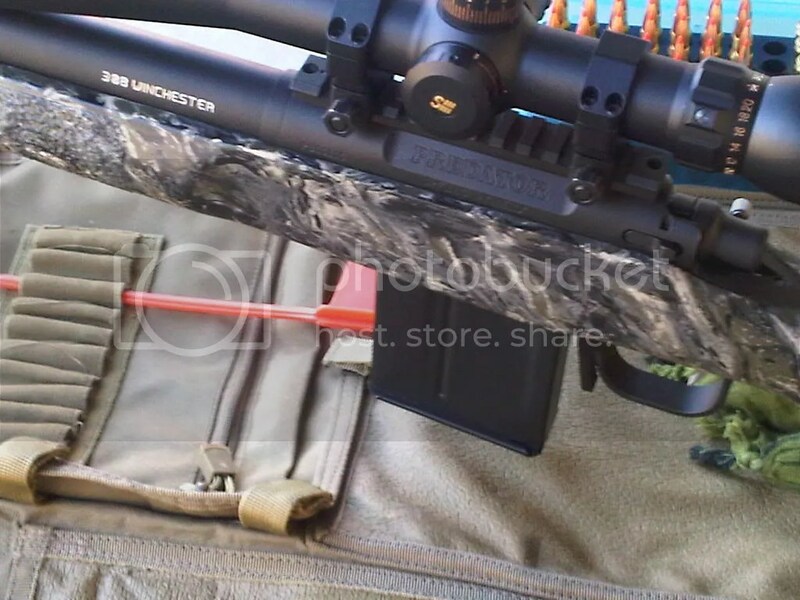 At the time I ordered this rifle I had never met or spoken with anyone at ATRS and I found Rick and Dustin to be fully professional to deal with. These guys were very accommodating, took their time with my questions and gave advice freely and without pressure. Sadly, my enjoyment of this rifle came to an abrupt end – after only a few months of light use the bolt handle came right off in my hand ! While ATRS were super helpful in looking after a customer I can’t say the same about Stiller – in fact, the rifle ended up being rebuilt on an excellent Defiance action. ← A New Semi-Auto Version of the S.A.W !